Henrietta Davis is the former mayor of Cambridge and long-time city councilor. In January 2014, she retired from elective office after serving on the City Council for 18 years, ending her service in the position of mayor. She is a member of the Cambridge net zero task force. In addition, she currently serves on the board of MCAN (the Mass Climate Action Network), the board of USGBC-MA (the green building council) and is a member of that organization's net zero committee. She is also on the board of the Institute for Market Transformation, a national organization promoting energy efficiency in buildings. 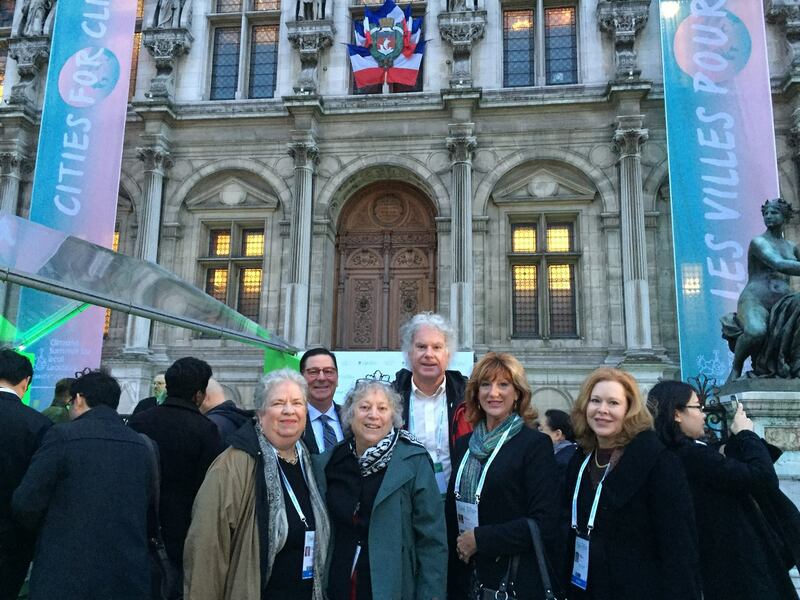 Henrietta attended the Paris Climate Talks and became more convinced than ever that it's up to cities and states to take action. Further that they should begin with the built environment: 40% of carbon emissions in the US come from buildings. 82% of Cambridge carbon emissions come from buildings! 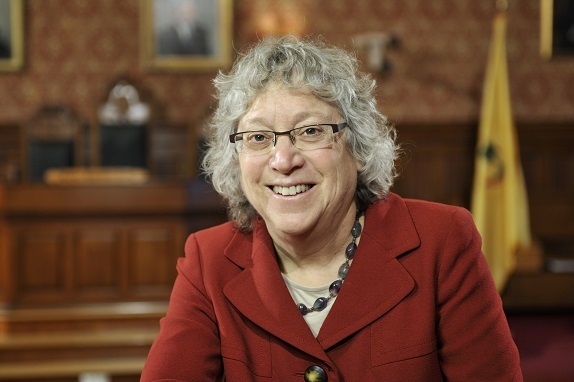 Henrietta Davis served as the Mayor of the City of Cambridge for two years, from 2012 to January 2014. Prior to that she served eight terms on the Cambridge City Council, twice as the City's Vice Mayor. She also served on the School Committee for ten years. As Mayor she was its chair. Over two decades serving the City of Cambridge, Mayor Davis focused on creating a healthy and livable city, concentrating not only on energy and the environment, but also on pedestrian and bicycling safety, neighborhood preservation, housing, aging in Cambridge, and children's health and education. Mayor Davis made collaboration between the city's universities, businesses and the Cambridge community a hallmark of her term as mayor. In Cambridge, a hub of the global knowledge-based economy, Mayor Davis convened all sectors of the community for urban planning, sustainable development, and science and technology-based workforce development (STEAM). As mayor she to the lead to found the Cambridge Compact for a Sustainable Future, a collaboration between MIT, Harvard and many of the city's leading businesses in the knowledge-based economy. This group is committed to working together to address climate change, especially by addressing energy use in buildings. She is now a member of the Cambridge Net Zero Task Force, a municipal advisory committee developing a long-term plan to reduce carbon emissions, aiming for zero emissions by 2050 through energy efficiency and generation of renewable energy. Prior to serving as mayor, for many years Mayor Davis was the Chair of the City Council's Environment Committee and she led the Council to adopt a Green Building policy for all new city buildings. She proposed that new school buildings be built to net zero standards. One such school, the Martin Luther King, Jr., School is now under construction. Mayor Davis also worked on many policy initiatives to improve the lives of families and children. For twenty-five years she co-chaired the national award-winning Healthy Children's Task Force, a community collaboration that was an early and successful promoter of healthy eating and physical activity for children. As Mayor, she chaired the Cambridge Kids' Council, the coordinating council for children and families. Beyond Cambridge, Mayor Davis has been involved with national and state activities. Until January 2014, Mayor Davis served as the Chair of the International Council at the National League of Cities (NLC), and she was past Chair of NLC's Energy, Environment and Natural Resources Committee. At NLC she also chaired the University Community Relations Committee. She was a member of the Massachusetts Municipal Association's Energy and Environmental Policy Committee She currently serves on the board of the Institute for Market Transformation(IMT.) Former Mayor Davis has spoken on sustainability initiatives here and abroad. Educational background: Henrietta Davis graduated from the University of Rochester, holds a Master's Degree in Social Planning from Boston College Graduate School of Social Work, and a Master's in Public Administration from the Harvard Kennedy School of Government.